One day, Louis saw the image of Jesus in a piece of toast! And thus he became America’s greatest hero . . . Whole Wheat Man! 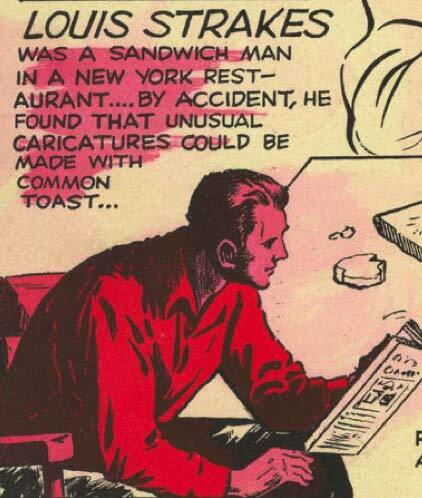 “One day, however, he left the bread in the toaster to long and it was bombarded with gamma rays! Upon consuming the radioactive bread, Louis gained awesome bread-like powers! …and went on to an exciting career in amusement park toast caricatures for the next 30 years. Enter . . . the Toastmaster! Mr. Magee, Don’t make me feel buttered. You wouldn’t like me when I’m buttered.